Buying property here in Thailand is not straight forward and you will need professional sound advice which acts in your best interest. It can be a confusing experience due to law, regulation, language barrier, and choice. We offer the largest selection of property, land, long-term rentals and holiday rentals in Thailand so there is no need to go elsewhere. Our sales teams are both foreign and Thai and all speak perfect English. They will assist with interpretations and translations to avoid any misunderstanding and to ensure you know what you are buying and the exact terms. We qualify your needs prior to viewings and ensure we do not waste each other’s time. With such a vast and diverse choice of properties available it is important to select a short list in advance and for us to then plan a viewing itinerary trip so that we maximize use of your time efficiently. Our professional advice avoids you viewing unsuitable properties and narrows down the choices as we know every property and what they offer. We act as a liaison between both the buyer and seller, although our fee is paid by the seller. We assist with negotiations in an impartial manner and ensure you get the best deal possible and provide pre-purchase due diligence which avoids you making the wrong buying decision. After making an offer, our support and service assists you with choosing a reputable lawyer, accountant, opening a bank account, visas, local knowledge, accompanying you to the land office, and any other questions you may have in the buying process. Please see our testimonials page online for our many satisfied buyers. Remember you have a choice, if you go it alone it is at your own risk and there are many pitfalls which you can fall into. Our service is FREE and costs you nothing and all we ask is if we provide a good service that you remain loyal to us and purchase or rent through our company now or in the future! We work closely with you to compile a focused and realistic brief which takes into account your requirements and preferences relating to the budget, style, condition, size and location of the property. We can advise on different areas and options available within your budget. We speak to all the relevant sellers, developers and our own private contacts and leave no stone unturned in the search process. We preview and shortlist suitable properties - this saves you valuable time as we will only show you properties that we have first pre-viewed on your behalf and that meet with all of your requirements. Having vetted and viewed each property and made a very close inspection, we know which are suitable and which are not. SRE shortlist those which suit your brief, and provide you with honest and objective feedback on each property. We accompany you on viewings to show you the shortlisted properties. During the property tours we will advise you on the local area and amenities and pricing. Once a suitable property has been identified, we provide you with an objective overview of the property and pricing so that you are equipped with the knowledge to make an informed buying decision. When the right property is found, SRE use expert negotiating skills to secure the right property at the best possible price and on the most favorable terms and handle the negotiations on your behalf. Our negotiating power means that we can usually offer a minimum 5% price reduction for the buyer or possibly more off the published price. Once the price is agreed, and reservation deposit put down, we introduce you to a reputable lawyer at the right price who has vast local experience in property conveyance. We use our expertise to ensure that the process runs as smoothly and quickly as possible. We would be delighted to answer any questions you may have or to explain more about our service, so please don't hesitate to contact us. Thailand has few regulations or standards regarding real estate and anyone can set themselves up as a broker. Therefore, it is very important that you deal with those who show professionalism and expertise in the Thai real estate market. Ask for credentials and testimonials before you put your trust in an agent/broker. A Certified International Property Specialist (CIPS) is an individual who has proven their expertise in international real estate practice by completing CIPS program requirements. CIPS designees are from all over the world. Consumers can benefit from the representation of real estate professionals who have earned the CIPS designation. NAR International administers the CIPS program and designation which focuses on ownership and transaction principles of international real estate, including specifics on real estate markets in Europe, the Americas and the Asia/Pacific region. Topics covered in the CIPS classes also include cultural diversity, market data, investment trends, marketing strategies, currency issues and financing. The Certified International Property Specialist Network (CIPS Network) is a specialty group of the NATIONAL ASSOCIATION OF REALTORS that focuses on international real estate. 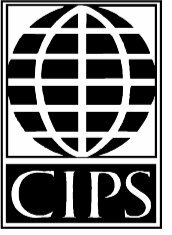 The CIPS Network currently has over 1,500, nearly 1,000 of who have earned the CIPS designation. More than 300 network members live and practice outside the US. Richard Lusted CEO of Siam Real Estate is a qualified designee of CIPS and one of only a handful of foreigners presently qualified in Thailand.